Cocktails aren’t normally created by accident, but some stories are just more interesting than others. Ahhh – now you see why we love the Hurricane so much! Back in the 1940s, Pat O’Brien’s on Bourbon Street in New Orleans, Louisiana concocted the drink out of sheer necessity – and we couldn’t be happier he did! #2: The First Hurricanes were Free! Yes you read that right – free drinks for all! Back in those days, Prohibition was a very real thing, and Pat O’Brien’s – then known as Mr. O’Brien’s Bar & Tipperary – is said to have been a speakeasy for sailors passing through New Orleans. Just say the words “storms abrewin!” and they’d let you in. (No lie.) As Prohibition came to an end, liquor was still in short supply and all the bars were vying for their share. In order for anyone to get even a small share of the good stuff, you had to order a ton of the bottom shelf liquor, so Pat ended up with crates of bottom shelf, cheap rum. So what’d he do?! Mix it with fruit juice and hand it out to sailors for free as a marketing gimmick! The first Hurricanes were born! Pat O’Brien named the popular cocktail after the type of glass he served it in – hourglass shaped like a hurricane lantern. Some accounts even say that the first glasses were in fact old hurricane lamps, turned into drinking glasses by having a bottom sealed on, but that seems a little far fetched even for us to believe! Ready to try the best Hurricane in Texas? Visit us at Razzoo’s Cajun Café for a delicious Hurrycane and other Texas drink specials! 1. Tabasco sauce is family-owned and operated. Tabasco may seem like the by-product of some mega parent company, but think again. Tabasco sauce is produced by the McIlhenny Company of Avery Island, Louisiana. The company was founded back in 1868 by Edmund McIlhenny and has since been passed down through 5 generations. The peppers used in the sauce were once all grown, harvested, and produced into sauce on Avery Island. As the company has grown, seeds from Avery Island have been transplanted to other parts of the world to grow on a grander scale. 2. Tabasco sauce was once sold in cologne bottles. When Edmund McIlhenny started making sauce, he used old cologne bottles and peddled it to family and friends around town. It would seem no one minded any hints of fragrance left in the bottle, and as demand grew, he just ordered more empty cologne bottles from a company in New Orleans. Today’s bottle style is made to mimic the style of those early cologne bottles. 3. Even Queen Elizabeth II loves Tabasco! In 2009, McIlhenny Company became one of the only United States companies with a warrant to supply to the royal household, because it would seem even Queen Elizabeth knows the beauty of Tabasco. And hey, if it’s good enough for the Queen, then it’s definitely good enough for us! 4. Special salt for a special sauce. You see “salt” on the Tabasco ingredient list and think it must just be your run-of-the-mill, cheapest salt available kind of salt, right?! Wrong! The salt in Tabasco is mined from Avery Island itself, making the flavors in Tabasco even more unique. Good luck finding that salt at your local grocer. 5. Tabasco pepper seeds are closely guarded in a bank vault. No kidding. McIlhenny Co. isn’t messing around with the possibility of natural disaster (they were affected by Hurricane Katrina after all). Each year, McIlhenny harvests the best plants and then dries those pepper seeds as the source of next year’s crop. Those dried peppers are split into two locations for safe storage, one in a top secret, undisclosed location, the other in a bank vault. In the mood to douse some Cajun food in Tabasco? 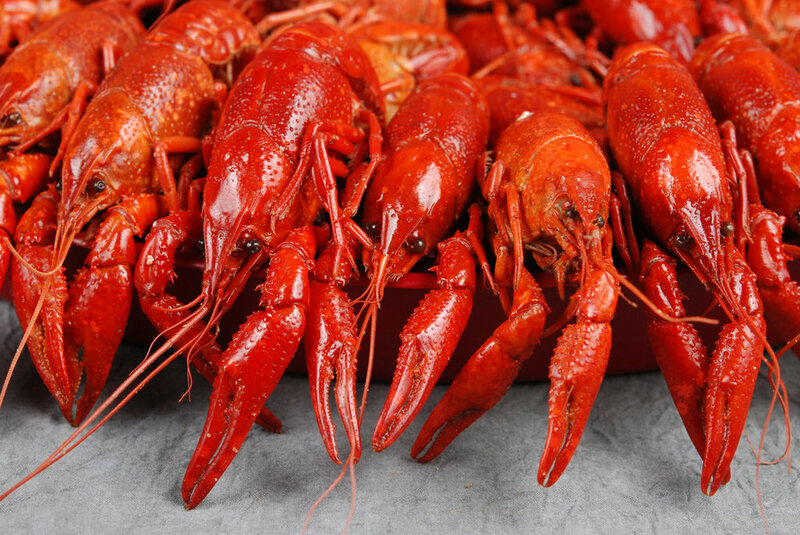 Head on over to Razzoo’s Cajun Café, where you’ll find the best Cajun food in Texas and Tabasco on every table.